Here in YATA (Mong Kok) we have expanded the framework of a supermarket, introducing the concept of “#Food⁺”. Not only could you enjoy a gourmet meal and your daily grocery shopping in store, you may also receive recipes of different cuisine, so you can find the perfect food and ingredients to prepare your meal, allowing you to shop, eat and learn. YATA (Mong Kok) is a must-visit destination for all the foodies. 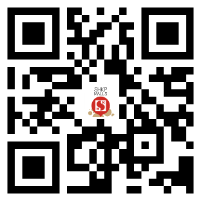 Scan now and follow us on Wechat!